No DeLorean required. Just walk the Crescent City streets and you’ll probably utter the rhetorical “if these walls could talk.” So much is spoken through the variety of New Orleans architecture, yet there are many more stories behind each front door. 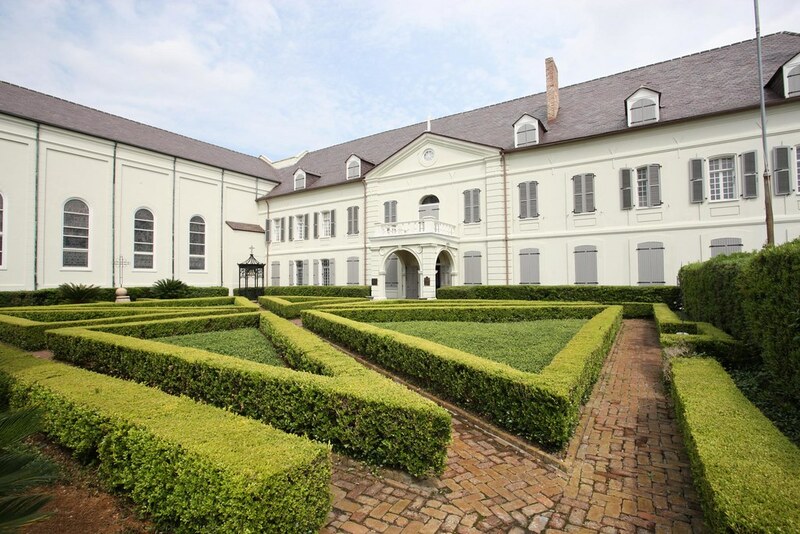 The Old Ursuline Convent on Chartres Street was completed in 1752, and stands today as the oldest surviving building of the French colonial period in the U.S. It is also the oldest building in the Mississippi River Valley. In 1789 Madame Johns Legacy was built on a burnt out lot. This may have been a smart move as lightening doesn’t strike twice, and the lot was spared during the 1794 city fire that levelled much of the city. The once home, now museum is a treasured example of 18th century Creole architecture. The first church on this site opened in 1727 in honour of Louis IX, King of France. Destroyed by fire in 1788, the church was slowly rebuilt, with funding by a wealthy Spaniard. Five years later the second St. Louis Church was elevated to Cathedral, just before it finally opened in 1794. A bell tower, clock and organ were added over the following years. In the mid 1800’s a problematic and costly project was undertaken to enlarge the cathedral and give the aging structure a new facade. This lead to almost complete reconstruction of the Cathedral. Louis J. Dufilho Jr’s pharmacy on Chartres Street is now the New Orleans Pharmacy Museum, or La Pharmacie Francaise as it is signed. The 19th century apothecary store is filled with dusty shelves of old remedies and tools of the trade, many that will make you squirm. Why Dufilho’s store? Up until the early 1800’s the U.S. medical industry including pharmaceuticals was almost completely without regulation. Those regulations that existed were routinely ignored. Louisiana State instituted a law in 1804 requiring all practising pharmacists to hold a licence. Dufilho was the first to pass the three-hour oral examination to receive his license and therefore the first to operate his apothecary store with proof of his professional adequacy in the United States. Across the road from the Old Ursuline Convent is a yellow hued, Greek revival style building now known as Beauregard Keyes House and Garden Museum. Architect Francois Correjolles built the home for a wealthy auctioneer by the name of Joseph Le Carpentier in 1826. The house changed hands numerous times but its most notable resident was namesake General Beauregard, who fought in the Mexican-American War under Robert E. Lee, and went on to join the Confederate Army during the American Civil War, become president of the New Orleans railroad, and later commissioner of the Louisana Lottery. The home fell into disrepair in the early 20th century and at one time was a homeless shelter. Frances Parkinson Keyes moved into the demolition bound home during 1944 while Alcoholics Anonymous still occupied the basement. It was Mrs Keyes and an architect friend who set up the foundation to restore and maintain the house. The Victorian mansion on Royal street was built in the early 19th century and was occupied by Louisiana Supreme Court’s Chief Justice. Changing hands in 1840, the signature cornstalk motif iron fence was added to satisfy the owner’s new bride, who was homesick for the cornfields of Iowa. Since becoming a hotel, the Cornstalk residence has hosted many famous faces from Elvis to the Clintons. At 700 Royal St lies La Branche House, one of eleven brick row houses that sugar plant mogul Jean Baptiste LaBranch had built between 1835 and 1840. These double shotgun homes were designed to take advantage of airflow and keep the residences cool during Southern summers. So-called “shotgun” because you could fire a gun in the front door right through to the back. Shotgun homes often feature decorative brackets, popular in Victorian-era NOLA. Shotgun homes in the French Quarter, decorated with brackets. $2.5 million dollars was the cost of this Emile Weil designed Saenger Theatre in 1927. The lavish interior was in the classical revival style, set with columns, decorative mouldings and Greco-Roman statues. The original theatre was significantly damaged during Hurricane Katrina, but was restored and reopened in 2013. The art deco Joy Theatre at 1200 Canal Street opened in early 1947. The movie theatre was considered distinctly more modern than its three film palace predecessors. Find flights to New Orleans with Skyscanner. Tour NOLA architecture with an expert from New Orleans Architecture Tours. This concludes our time machine tour for now. 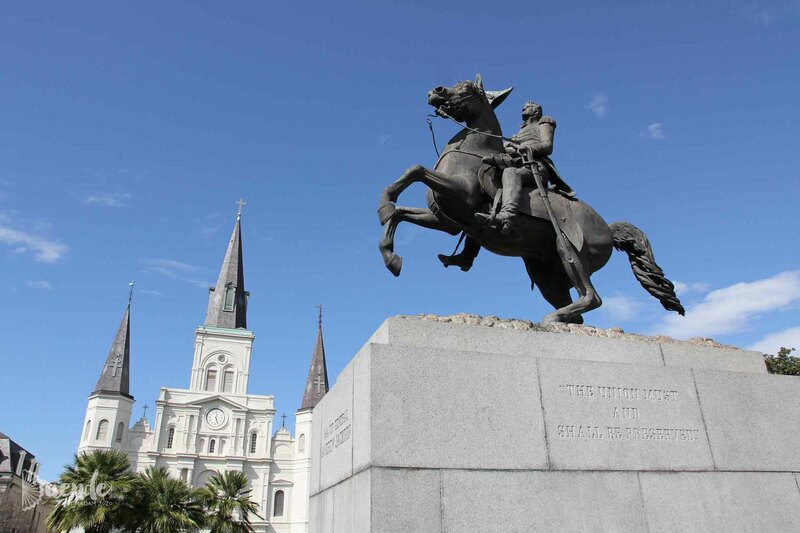 If you are travelling to New Orleans, take time to wander the streets, absorbing the array of architectural styles and the stories they have to tell of the historical, cultural and sometimes natural forces that have built the Crescent City of today.